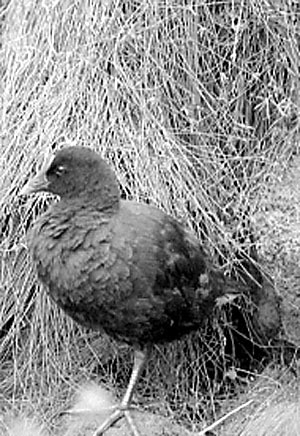 Gough Island is one of the remotest islands in the world. Its centre lies at 40°19'S and 9°56'W about 230 miles from Tristan da Cunha, of volcanic origin, about eight miles long and four miles wide, in the South Atlantic Ocean. It is uninhabited, apart from a meteorological station manned by seven South Africans. 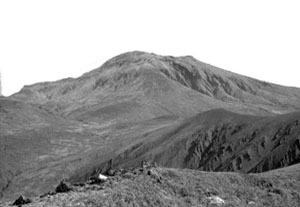 The centre of the island is a plateau at 2000 feet with Edinburgh Peak, the island's highest point, rising above it to 2986 feet. On the west side the plateau extends to cliffs of 1500 feet but the east and north show deep glens cutting far inland. Gough Island was been classified as a World Heritage Site in 1995 by UNESCO. A detailed site description is held by the WCMC in Cambridge. 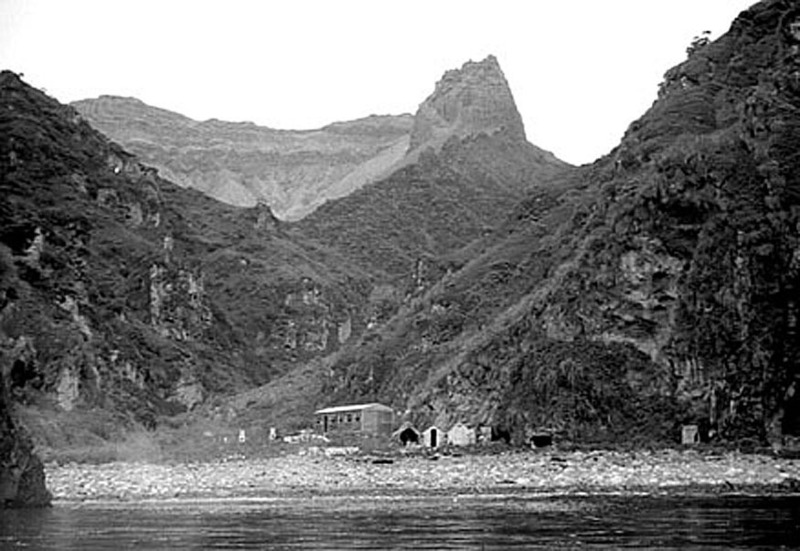 Gough Island was discovered by the Portuguese in the 16th century, with a first landing in 1675. It was then 'rediscovered' by the British in 1731. Sealers arrived in 1804. Visitors to the island have included a number of brief naval and scientific expeditions. It became part of British territory in 1938, and is now part of the Dependency of Tristan da Cunha, which falls under the Crown Colony of St Helena. Commercial fishery for the Tristan Rock Lobster Jasus tristani commenced in 1949 and continues to this day. There are 12 plant species endemic to Gough Island, including six mosses. 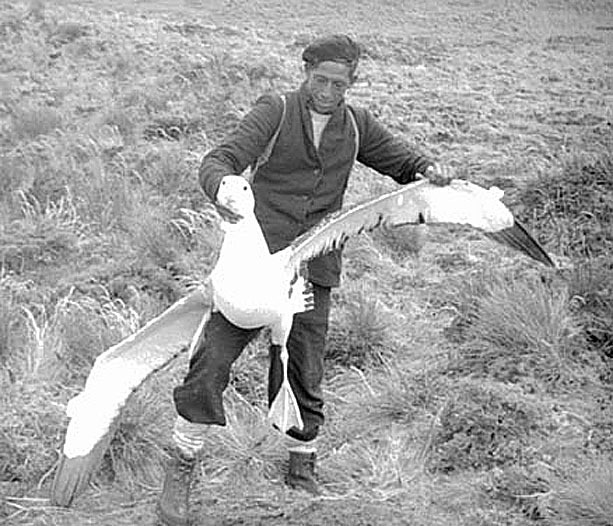 In 1955/6 the privately-organised Gough Island Scientific Survey, led by John B Heaney, spent six months carrying out a detailed investigation and discovered several new species of plants and birds. The photographer on this expedition was J P Hall. 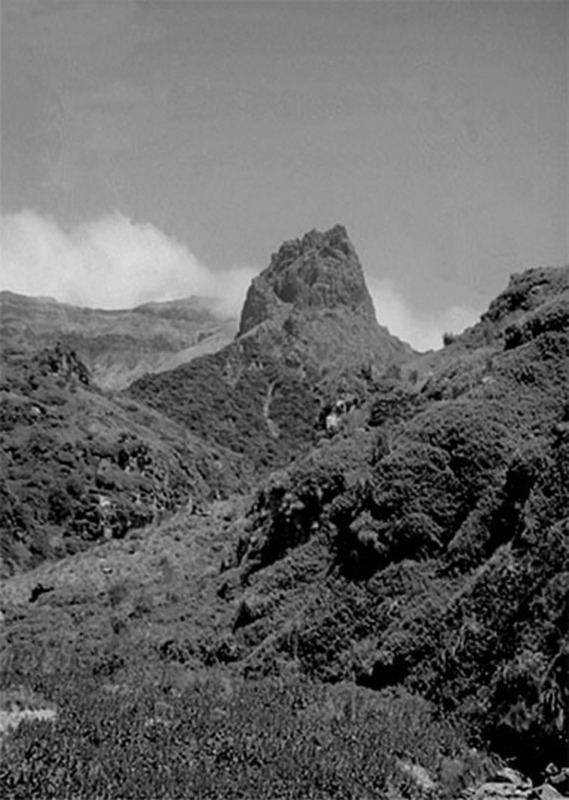 A report of the survey's work was published as "Mountains in the Sea", by M W Holdgate (Macmillan, London, 1958); a copy of which is in the SPRI Library. Holdgate has also published a number of papers including Nature, 1956, Vol.178, No.4527, pp. 234-236. For a more complete bibliography using SPRILIB Antarctica please click on the link below. This uses a web-based database of the Antarctic collection in the SPRI Library. For a complete listing of photographs in SPRI from this expedition please click on the link below. To obtain these or other photographs, please contact the SPRI Picture Library. Photographs prepared by Claude Cowan.